Srinagar, February 15: Security forces on Wednesday late night killed two Pakistani terrorists and foiled a major infiltration attempt along the Line of Control in Poonch district of Jammu and Kashmir. On the other side, Pakistan playing dirty tricks also resorted unprovoked firing to made infiltration bid successful. 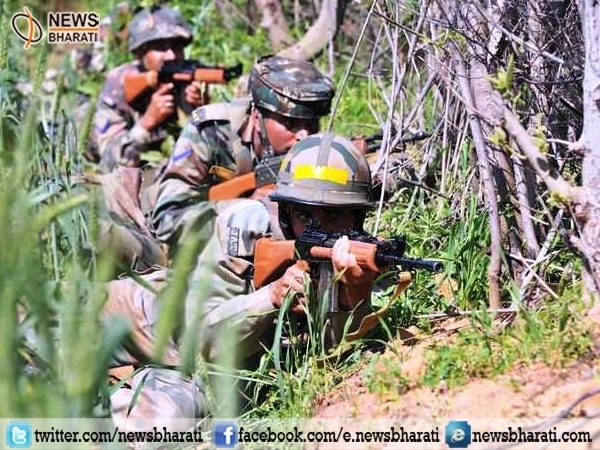 A senior Army officer said, “Army has foiled an infiltration attempt by a group of terrorists along the Line of Control in Poonch district and eliminated two terrorists.” "Suspicious movements by a group of four to five terrorists were noticed along LoC in Mendhar sector of Poonch during the night," the officer added. Alert troops engaged the suspected militants and fired on them, he said adding that the troops foiled their attempt to cross over the LoC. He further added that the search operation is under way in the area. However, the incident happened as the security forces battle increased attempts by terrorist groups to target them in Jammu and Kashmir. Earlier, in the last week, JeM terrorists geted an Army camp in Sunjuwan in Jammu in which six soldiers were martyred while a civilian was killed. On Monday, two Lashkar-e-Taiba terrorists attacked a Central Reserve Police Force camp in Karan Nagar area in Srinagar. After a 32-hour gunbattle, security forces killed two terrorists. Interestingly, as many as 515 infiltration cases from across the border in Jammu and Kashmir were reported in the year 2017 in which 75 terrorists were killed.